The most anticipated movie 'Baahubali: The Beginning' hits the screen on Friday. Although the expectations of the public are high on the film. 'Baahubali' team is working on promotions to further increase the buzz on the film. Rana Daggubati who plays the crucial role of Bhallaladeva is currently busy with the promotions in Kochi. During an interview, Rana revealed how he could do other movies during 'Baahubali' Shoot. In fact, all actors have acted in other films except Prabhas. 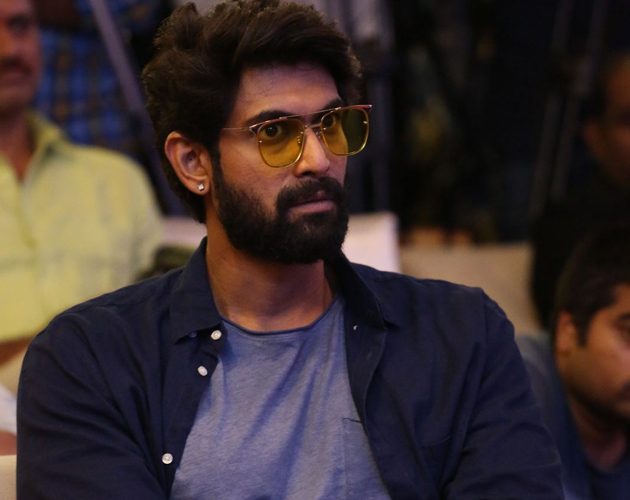 Rana played in 'Rudhramadevi' in Telugu. 'Baby' in Hindi. 'Bangalore Naatkal' in Tamil .. and the recently released 'Ghazi'. It is known that Prabhas .. Rana worked so hard to grow bodybuilding to adjust the role in Baahubali and they have been holding it for years. Prabhas was injured during this period, so the movie unit gave a break for the shoot. Rana says he has acted in 'Rudhramadevi' during this period. He was able to complete these films due to Prabha's injuries. Rana said, "I was already involved in a war. I thought what would happen if there was another war." As I've long become her, it was also useful for the movie "Rudramadevi." Surprisingly, Rana suffered Also hurt Prabhas. He suffers heavily in completing other films.